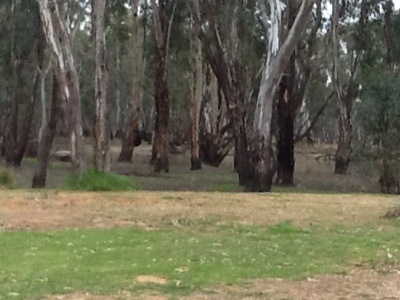 I am writing this post on the banks of the Murrumbidgee Rivet at Balranald. The cockatoos and other birds are in raucous chorus. I’ve just put up up the tent and Hetty has fired up the stove. In the passage above, God is informing Jeremiah of the amazing things He has in store for His people. Two chapters earlier we read of a new covenant – a covenant in which God dwells in his people and empowers them to be what he calls them to be – holy. This covenant was instituted by Christ. In chapter 33 God starts showing Jeremiah the blessings in store for His people. I urge you to read the chapter and soak in the beauty of the promises. One that is particularly striking is that of the bride and bridegroom. It is a metaphor about Jesus but also a picture of new life, promise and new beginnings. As I sit here I am amazed by the small blessings of nature. The river, the birds, the sunset; These too are signs of God’s goodness, but they are also hints of that which has come in Christ, and the far greater things to come when He returns. There are reminders all around us that the kingdom of God is about us. But oh what a day when we see it in all it’s completion!.